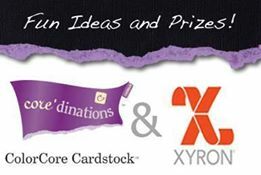 Welcome to the Xyron and Core’dinations blog hop! We’ve been hopping all week so if you missed any, please click this link to catch up on all the other fantastic projects. 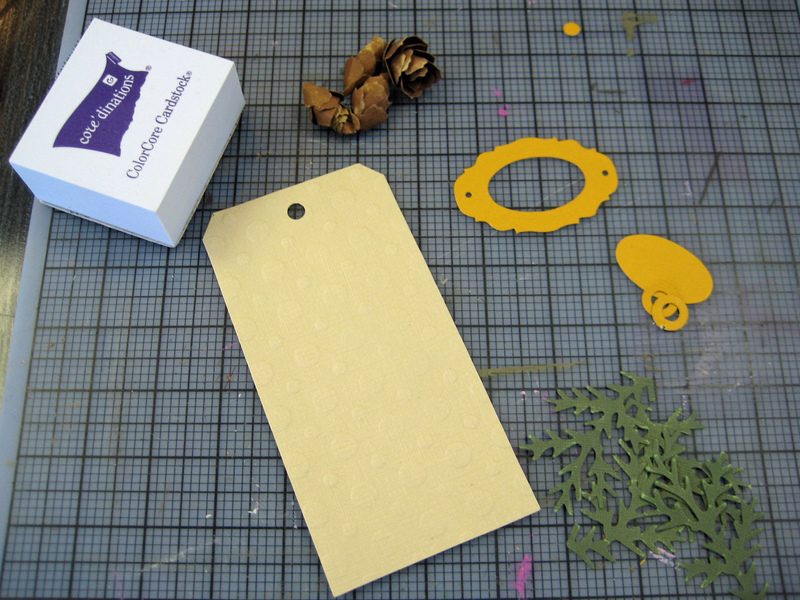 I had a grand time playing with the Core’dinations cardstocks in creating this tag. 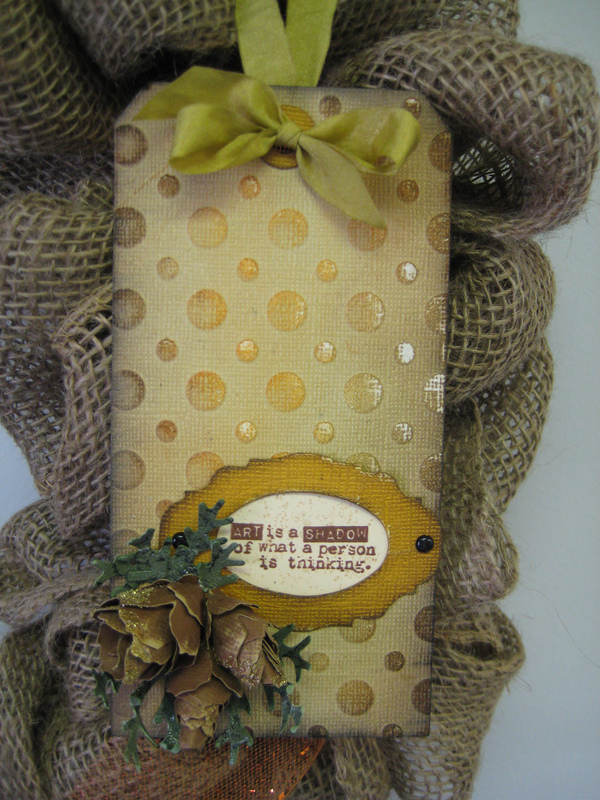 I started by cutting the tag using dot textured tan cardstock from the Core Essentials Collection by Core’dinations and the Tim Holtz Tag & Bookplates die by Sizzix. 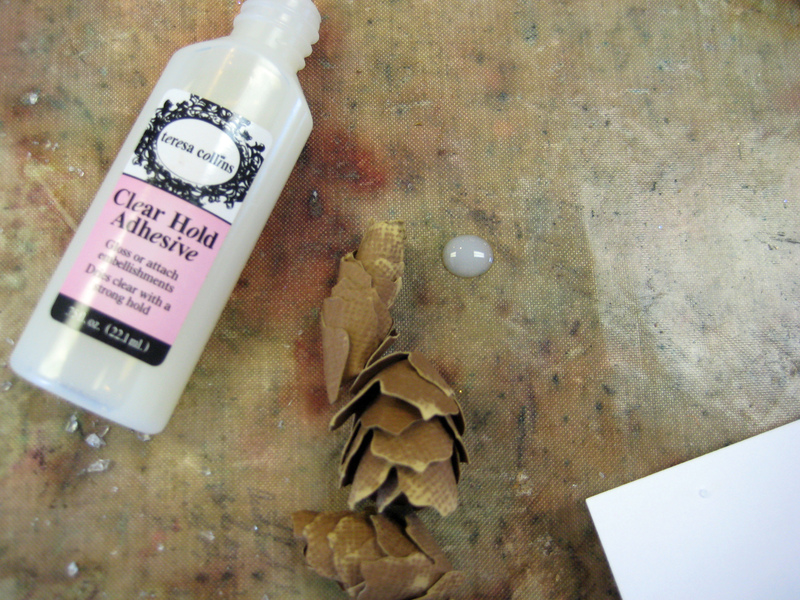 The pinecone and greenery are cut from Core’dinations Tim Holtz & Ranger Distress Collection using the Tim Holtz Tattered Pinecone die by Sizzix. I inked the edges of all the pieces with Vintage Photo Distress Ink and edged with Black Soot. The pieces really started to shape up when I lightly sanded them all with the Core’dinations Sand It Set sanding block and wiped the dust away with the kits’ cleaning cloth. 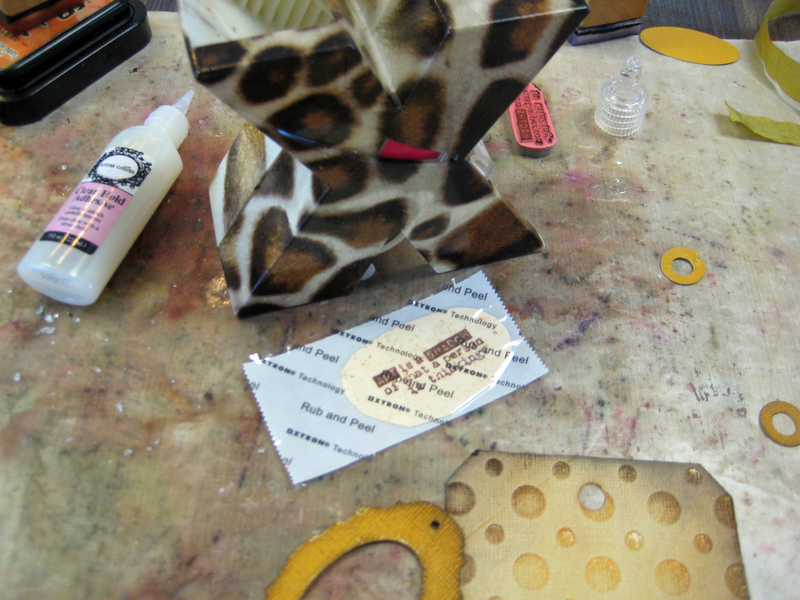 I loved the way the sandpaper squares stick to the loops on the sanding block. It is so easy to switch out to a new sandpaper! Some Ranger Clear Crackle Paint is spread across the greenery and set aside to dry and crack. The pinecones assemble so easily. I rolled them as directed and sealed them shut with the Xyron’s Clear Hold Adhesive from the Teresa Collins Adhesive Kit. I also put a small amount of the glue on my non-stick craft sheet and used my finger to spread in on the pinecone tips and then sprinkled on a bit of gold glitter for some sparkle. 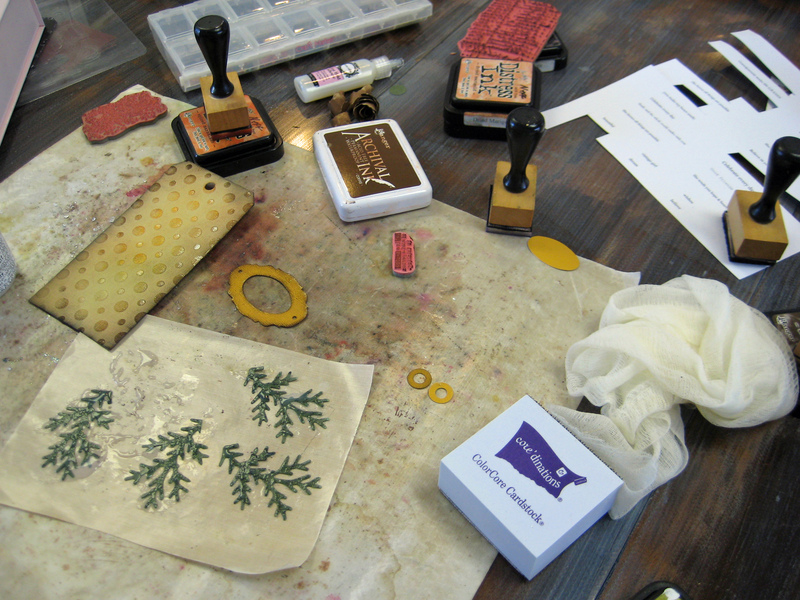 Once the pieces were assembled and dry, the sentiment stamped onto a scrap of manilla tag, I was able to construct the tag. The small flat pieces were processed through the Xyron 1.5″ Create-a-Sticker. Once assembled, I tied a pretty piece of May Arts wrinkle ribbon to the top so it could hang and it looks great hanging from this burlap wreath! Thanks for visiting my blog and be sure to hop over to all the others! Beautiful tag. The texture is lovely. I love the colors too. I LOVE that tag! And it was really beautiful on the wreath.